A swarming colony is approximately 3 to 5 years old. Termites do not die off in the winter. Termites can access a foundation through a crack as small as 1/32th of an inch or create protective tubes to get to the wood sill plate and framework. Brown will kill the termite colony and you will never have to worry about termite issues again as long as you remain on our renewable warranty plan. Termites in the United States cause somewhere between 5 and 10 billion dollars in damage to structures annually. The Shenandoah valley is in a part of the country where termites are very active. This is mainly due to climate and availability of natural habitat. For millions of years termites thrived in Virginia because of these conditions and an abundance of wood from the native trees. Brown Exterminating offers free termite inspections and advanced treatments for termites in Waynesboro, Fishersville, Staunton, Stuarts Draft, Lyndhurst and Lexington Virginia as well as the surrounding areas. When you invest in termite protection for your home, you are investing in the protection of your biggest investment. Brown Exterminating has been inspecting, treating and providing a warranty against termite infestations since 1972 and is the pest control company you can trust to get the job done. Every product Brown utilizes for termite extermination is EPA approved. Brown Exterminating uses two main insecticides to prevent termites from attacking your home. The best is Fipronil (Termidor) for termite protection. It is the only product on the market that has been 100 percent effective in all the USDA test sites. It is the best termite treatment to date. We also offer termite treatments using Imidacloprid which is also an excellent termiticide but a little more budget friendly. How some exterminating companies save money on termite protection at your expense. They inject the treatment at intervals farther apart than 12". Twelve inch intervals provides the best barrier. Use of older, less effective, but less expensive chemistry. There are some products on the market which are much cheaper than Termidor, however they do not control termites 100% of the time. Some pyrethroid class chemicals with the active ingredients permethrin or cypermethrin actually fail to control termites as often as 25 percent of the time. Termidor is the only product that has been 100 percent effective, with no exceptions, however it is as much as 5 to 6 times more costly. Brown Exterminating follows the Termidor label directions exactly to insure that the protection is complete, effective and within the boundary of the law. We stand behind our work and our warranty. This is why we have been successfully treating termites in Virginia for over 40 years. 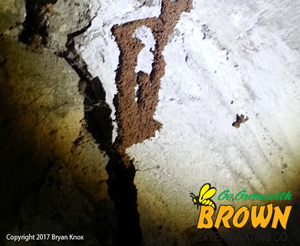 Call Brown Exterminating for a free termite inspection of your home to make sure termites are not slowly eating away at your investment. A licensed pest management professional will thoroughly inspect your property at no charge. We also offer inspection guarantees for peace of mind in case termites are a problem in your area. 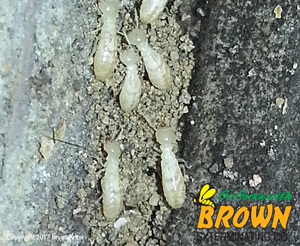 Brown Exterminating provides a free warranty for the treatment if termites are found active in the first year and can provide a yearly warranty for continuing protection. You can not be to careful when protecting your home from termites, call Brown today. Brown Exterminating Company uses Termidor, the world’s most effective termiticide. It offers 100% elimination of colonies in 90 days or less, up to 6 times faster than baiting systems. Termidor kills by ingestion, contact, and by termite to termite transfer whereby, affected insects spread the termiticide throughout the colony before dying themselves. Termidor is applied in a responsible, low-dose treatment, with no odor. 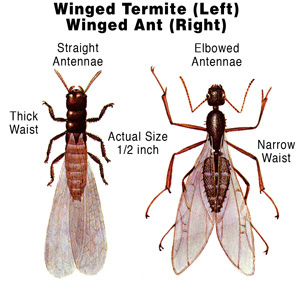 Brown Exterminating believes in providing the best and most advanced in termite services and treatment. We value our customers and keep open communication with our customers about the process. If you have properties outside of our service area, our other Brown Exterminating Company Affiliates may be able to help. Please feel free to contact Bryan Knox about pest control in Staunton, Fishersville, Waynesboro, Stuarts Draft, Lyndhurst. and the greater Augusta County Virginia area. If you are thinking of selling your home buyers need assurance that their biggest investment has no hidden problems. To aid in the sometimes complex home buying process Brown Exterminating Co. provides this assurance with our home inspection services. We will not only inspect and provide the findings about the property to the realtor, but will explain our findings, in person, to the home buyer if requested. Designed to work in the interest of the agent as to answer any questions a buyer may have and provide peace of mind. Termites although small live in colonies that sometimes number in the hundreds of thousands. With this amount of termite activity it would not take long to do significant damage to your home or building. Termites are known to eat the center out of wood pieces making them hard to detect until the damage is extensive enough to see or become a structural problem. Calling a professional will give you peace of mind that your biggest investment is safe from wood destroying insects such as termites. Having a professional inspection,and if termites are found, treatment, along with the guarantee can add years to your home without issue. Brown exterminating offers free termite inspections for possible termite and wood destroying insect problems. We are a full service pest control company utilizing advanced techniques in termite treatment and extermination. Brown exterminating service area includes Waynesboro, Fishersville, Staunton, Stuarts Draft and Lyndhurst Virginia as well as the entire Augusta and Rockbridge county area. Pest control services include residential, commercial and industrial locations. We also offer services for inspection, treatment and warranty for wood destroying insects and organisms to realtors and new construction treatments for builders and contractors. Call today to receive a free inspection of your house and property.